A wealth management and institutional brokerage firm named Detwiler Fenton has issued a bearish report on RIM. 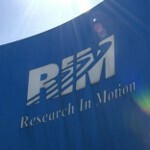 That means that it is a negative report and the firm expects RIM's share price to drop. According to the report, while the Canadian based handset manufacturer will introduce the new OS on January 30th, the first touch screen models will available in March. It won't be until June when the first BB10 handsets with a physical QWERTY will be ready. The report also notes that AT&T and T-Mobile will launch BlackBerry 10 devices in March while Verizon and Sprint will release their first models in May. As a result, the analysts at Detwiler Fenton expect very limited BB10 sales with the May quarter also impacted by limited shipments to Verizon and Sprint and the lack of QWERTY devices. The firm sees 400,000 BB10 units shipping in the February quarter with 2.2 million to 2.5 million shipping out in the next quarter. The delayed QWERTY devices are a problem for RIM, according to the firm, because it doesn't see too many upgrades from older legacy devices to full touch screen models. Detwiler Fenton is "skeptical" about RIM's chances for success because of the competition from Samsung, Apple and Microsoft and says that developers have limited interest in the platform, ranking it fourth among the major ecosystems. RIM's response? "Details of the commercial availability for BlackBerry 10 will be announced at the global launch events on January 30. Our executives have made it clear that the touch screen device will be available shortly after launch with the physical keyboard version to follow shortly after that." Lol so RIM says they'll launch the first of the touch phones on Jan 30 and the first keyboarded phones in febr and more later. And this analyst comes and says that's bulls**t. Who are his sources? Exactly! Man will land on mars by the time BB10 comes out. Every single person I talk to about RIM have all said that they can care less about the next BB devices... I have to agree with them all... RIM will have to really blow my mind with something different from me to even consider them as a choice for mobile device. To be honest... I'm an iPhone user but Android has really innovated with their latest OS. The Google integration is so sick... love it! Its all about the Apps and experience.... Apple has the apps locked down. and Android brings the users a great environment that cam be customized.... Where should BB belong??? They don't have enough backing of developer support... and no one will care about the UI. Just my opinion. This just in: RIM has changed their release date of a new BlackBerry 10 model to "eventually". Cumm onnn RIM, longer you take is the more impatient people get and switch. What should we do ?? I loved my Storm 2, so going to Android was hard for me at first. Up to a year later I was still saying how I couldn't wait for RIM to make a device to take on Android. Well, it's 3 years later, and Android has completely won my heart. I've enjoyed 4 different Droids since then, while RIM was still trying to sell the same old Curves and Bolds. So keep postponing the release of something new for this long, then to say VZW wont get one until MAY??? 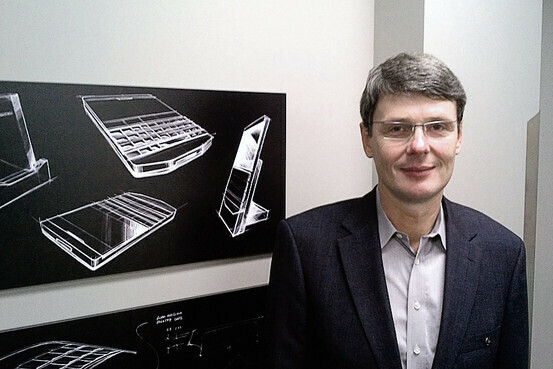 New OS, new CEO and all...but RIM still hasn't learned their lesson. This may just be the final nail in their coffin. the good thing about the delay is that it is feature perfect that is set for today's standard... they actually learn...but they cant release the actual device due to the fact that RIM is loosing loads of money... but the new OS and new CEO is a good addition coz their past CEO has a hard time to realize that touchscreen is now the new in and iPhone is not a toy anymore! and their past OS, its hard to give updates on a java phone! so thats why BB10 will be a perfect OS for this competition! actually its quite understandable that BB10 QWERTY will be on june coz RIM is still set to release the dev alpha c, which is a QWERTY version of dev alpha...coz the first 2 dev alphas are full touch thats why it will be release early and apps for the full touch are now populated.... while if they release the QWERTY along with the full touch on march, the QWERTY dont have that much apps...coz today, the one that matters on a smartphone is apps... the two phones, full touch and qwerty, will be announce on jan 30...but the full touch will be available first.... but im hoping that a slider will be made as well! I call bs on this analyst. Crackberry already released an article proving this analyst to be false. But the haters are gonna hate. Here is the link for the crackberry article:http://m.crackberry.com/sometimes-analysts​-say-unfounded-things-and-forbes-quotes-them-black​berry-10-phone-w-qwerty-keyboard. Why would the reporter have to lie about another delay. Let's. see, how many delays have there been. I lost count. File BB 10 under "Nobody Cares" on your way to Best Buy to buy an android phone or iphone. STFU would you!! a lot of people cares!! !those people that want choices! you android folks just dont understand that! that makes android a horrible OS coz its fans are the ULTIMATE TROLL! What is wrong with you? One "!" is enough to make a firm and bold statement. can't wait for bb10 to come out really want to use one of these devices. hopeing it will be a major success.